investments in the Dutch science system from the perspective of physics. This final strategic plan has been realised after an extensive strategy meeting with more than hundred representatives from science, industry and other research institutions in May 2014. It was finalised by the Governing Board on 9 December 2014. In conjunction with the publication of the new NWO strategy, the Governing Board of FOM and the NWO Divisional Board for Physics (together FOM/N) have published this strategic plan. At a national level, the FOM Foundation and the Division for Physics (N, for 'natuurkunde', the Dutch translation of physics) of the Dutch Science Foundation NWO, jointly shape the physics research conducted at universities and other research institutes in the Netherlands. The Division for Physics is mainly responsible for the Talent Scheme (vernieuwingsimpuls) and the large NWO funding rounds. FOM runs its institutes and also realises research projects and programmes at universities. The Executive Board of FOM is merged with the Divisional Board for Physics; the director of FOM is also the director of the NWO Division for Physics. 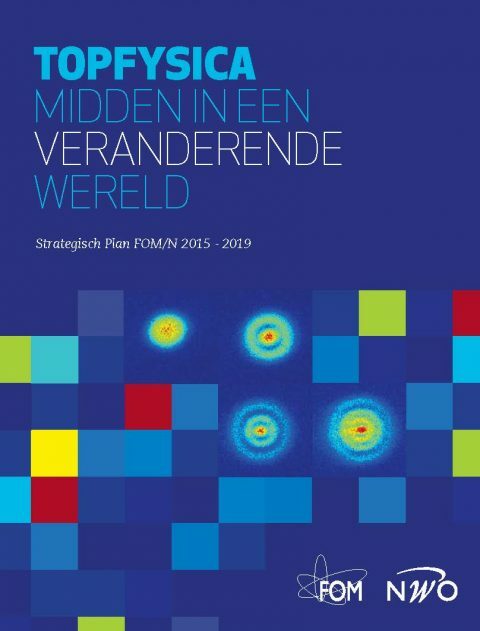 The joint strategic plan of FOM/N indicates the course for physics research in the Netherlands for the coming years.